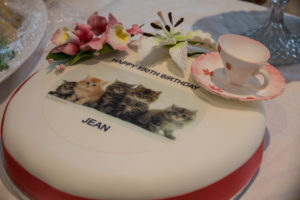 Happy 100th Birthday Miss Jean Tranah! 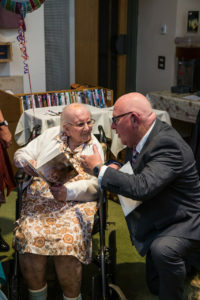 Miss Jean Tranah’s 100th birthday was celebrated in style on Saturday 10th June at Bridgemead. 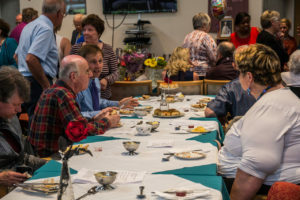 Guests included Wera Hobhouse, Bath’s new MP, Councillor Rob Appleyard, Deputy Mayor, and his fiancée Amanda Fraser, Marian McNeir, patron of Bridgemead, Geoff Weekes, Chair of the Trustees, Pam Bourton, Head of Care at Bridgemead, Rev John Farren and Rev Peter Taylor, former ministers of Hay Hill Baptist church, Rev Andrew Shergold, Philippine Independent Catholic Bishop in Europe, Gillian Murray, Miss Tranah’s niece from East Kent, and many friends, residents, and staff. 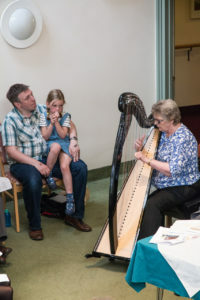 There was a service led by Rev Alan Ashworth, the chaplain of Bridgemead, and Mrs Norrey Taylor played the harp. 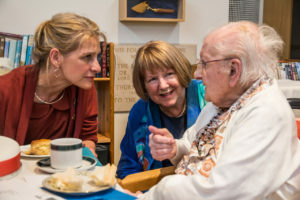 Miss Tranah gave an inspiring speech saying she did not feel her age, that her faith had kept her going, how important it was to look forward and not back, and praised the staff of Bridgemead for being ‘ministering angels’ to her. 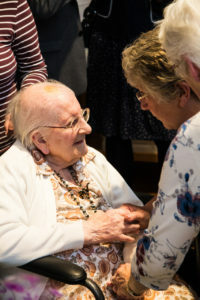 What a privilege to be able to share with Jean the celebration of her 100th birthday. 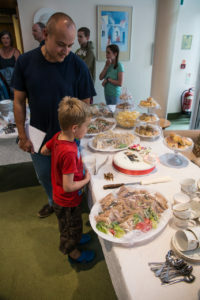 The staff at Bridgemead turned up trumps – yet again – in organising such an event and a lovely tea for so many visitors. It was also a pleasure to be able to have Wera Hobhouse present for her first engagement as Bath’s new constituency MP.